Whether you want low or medium volume manufacturing, GSPK Design has an excellent reputation for guaranteed quality and reliability. Our investment in electronic design technology allows us to place SMT components down to 0402, with either manual or semi-automatic placement machines and IR Reflow. We also have the capabilities to place and rework Ball Grid Array. Along with the option of placing conventional electronic components with a Lead-Free wave solder process. Every aspect of our manufacturing process complies with ISO 9001:2008, ISO 13485:2016 and SGS Baseefa certification ISO/IEC 80079-34. Want to discuss you electronic manufacturing requirements? We’re passionate about keeping manufacturing in the UK and proud of the fact we’ve been doing this for over 16 years. Keeping the future of the British economy healthy to benefit you and your business is one of the main reasons we keep all our electronics manufacturing in our on-site facility in the UK. Product assembly without electronic design? 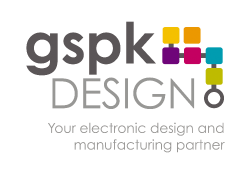 If your electronic design needs have been met already, then GSPK Design can still provide a product assembly service using your own free issue components if you prefer. If production runs increase, we can also offer out-sourced, low cost, offshore manufacturing. Every product is tested against your Functional Specification, prior to leaving our factory – reliability is what we pride ourselves in. Our manufacturing facility has been approved for European Type “E” production, for the manufacture of Automotive equipment. GSPK Design is also regularly audited by the TUV for the manufacture of scientific test equipment.